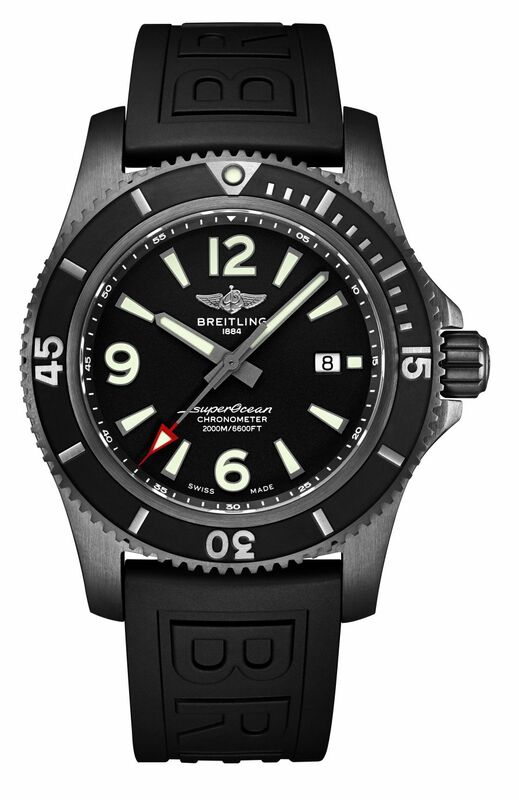 Breitling CEO Georges Kern points out that the watches reflect more than just the brand's diver's watch legacy: "Our Surfers Squad and our partnerships with Outerknown and Ocean Conservancy speak volumes about our affection for the seas. 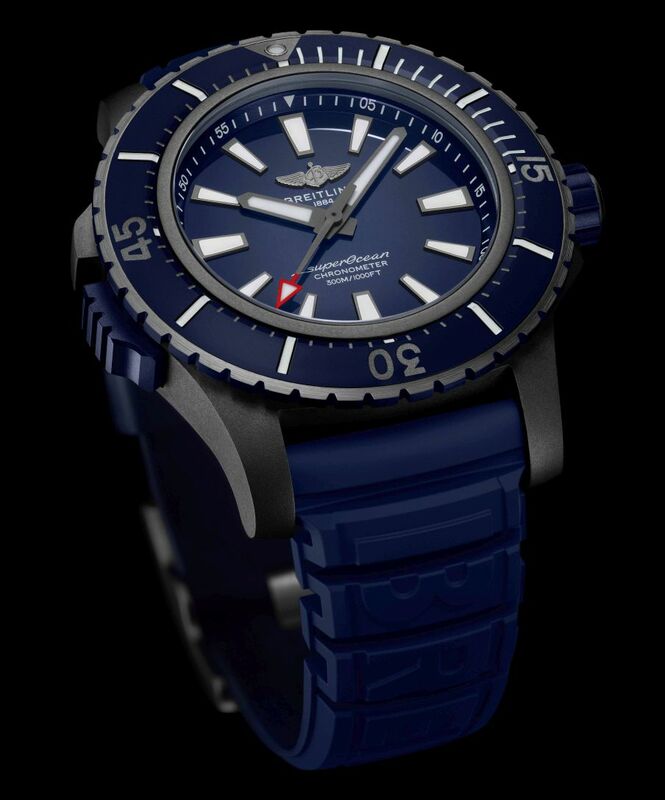 With the new Superocean Collection, we have created watches for people who want to explore the oceans, whether they are active in water sports or in clean-up initiatives. 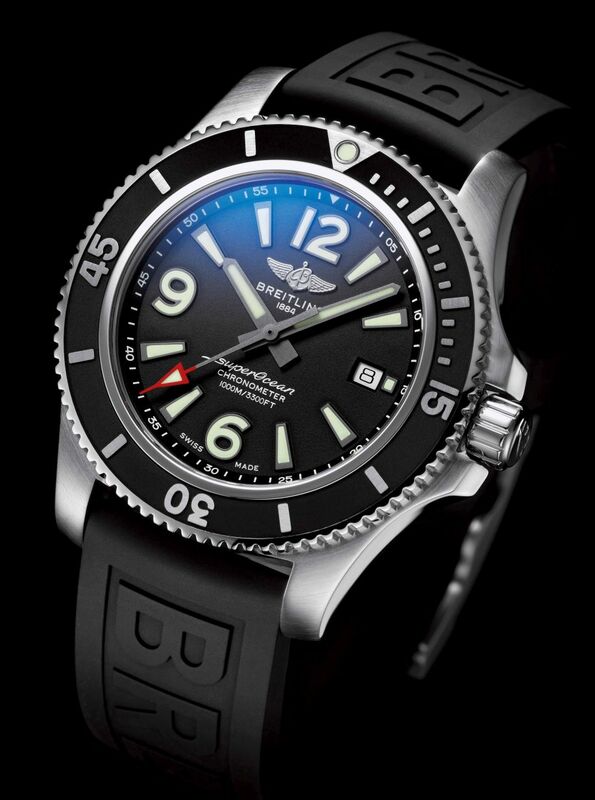 And, of course, they will excite any fan of Breitling's design values." 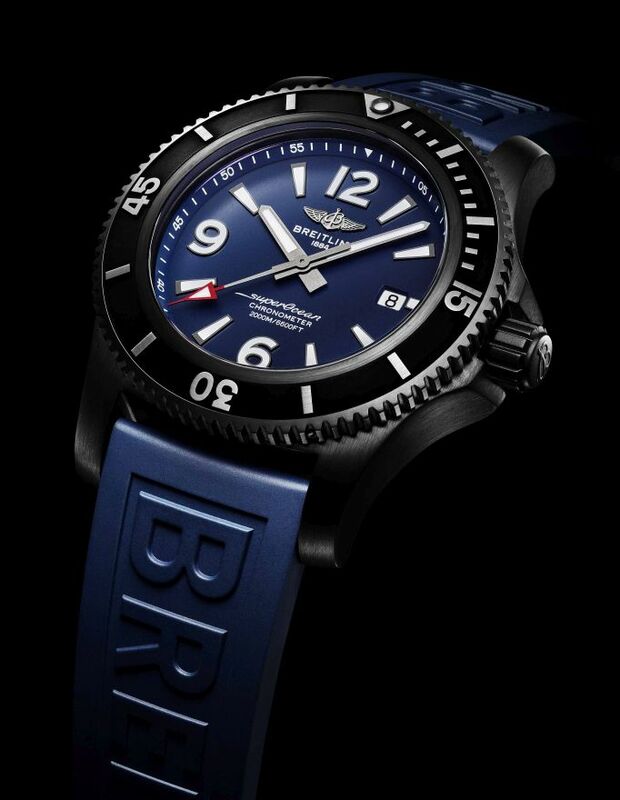 At the heart of each member of the new Superocean Collection is the Breitling caliber 17, a movement that offers a power reserve of around 38 hours. The watches all of them COSC-certified chronometers feature luminescent SuperLuminova numerals, indeces, and hands, ensuring excellent readability in any conditions. 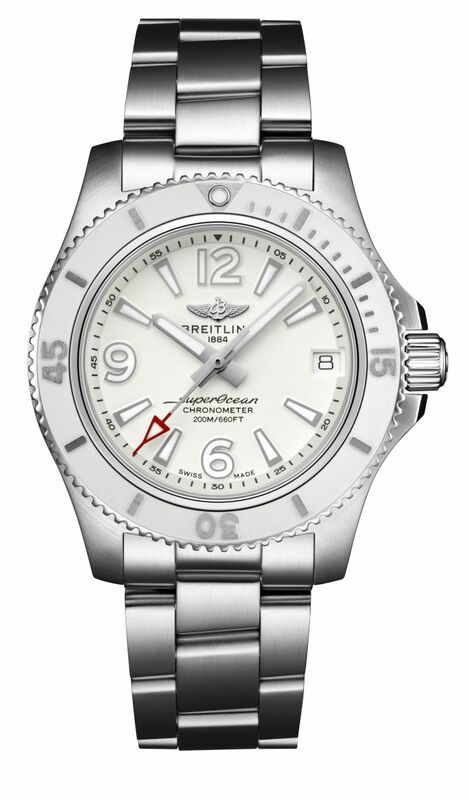 Created in five different sizes to ensure that there is a diver's watch ideally suited to every wrist. The Superocean 48 is undeniably the conversation piece of the new collection. 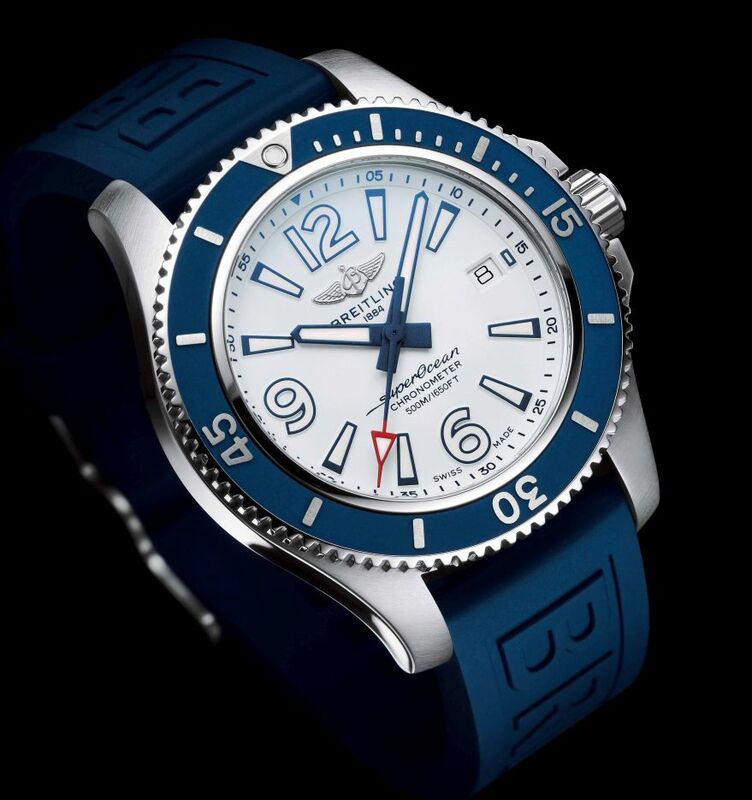 With its impressively oversized 48mm DLC-coated titanium case and blue ceramic bezel, it instantly attracts attention. Yet a closer examination reveals that there is more to this watch than meets the eye: its soft-iron inner case offers protection against the effects of magnetic fields, while the rotating bezel can be safely secured with a lock on the left side of the case. The Superocean 46 has, as its name suggests, a 46mm case in black steel (DLC-coated stainless steel). 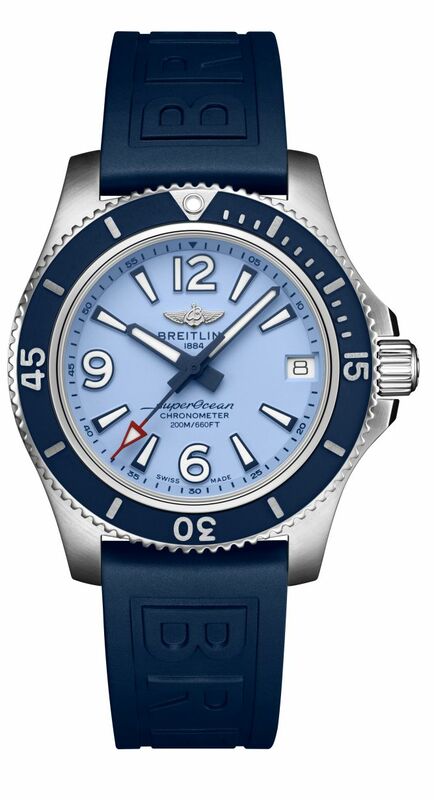 This big, bold watch is available with either a black or blue dial and a matching Diver Pro III rubber strap with a pin buckle or folding clasp. 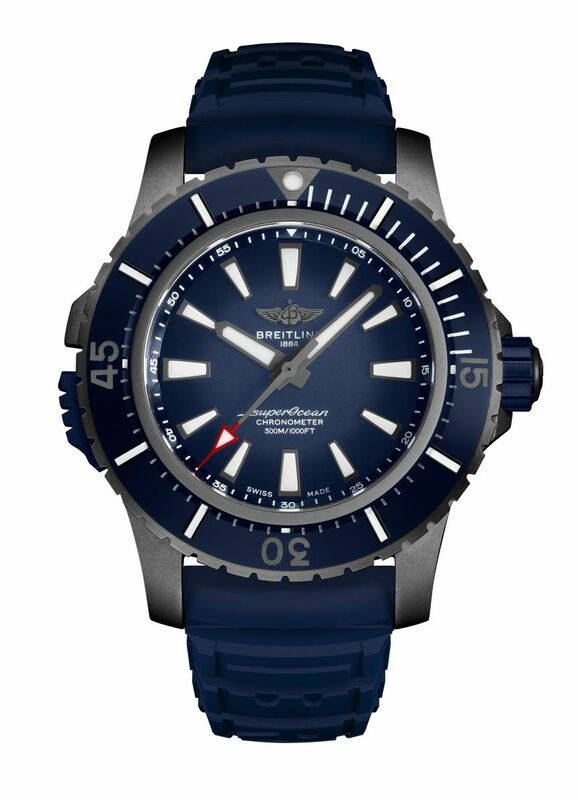 The Superocean 44, with its 44mm stainless-steel case, is available with either a black or blue dial and a choice of a matching Diver Pro II rubber strap or a stainless-steel bracelet. It has a ratcheted unidirectional bezel. The Superocean 44 is capable of joining you on all of your underwater adventures up to a depth of 100 bar (1000 meters). 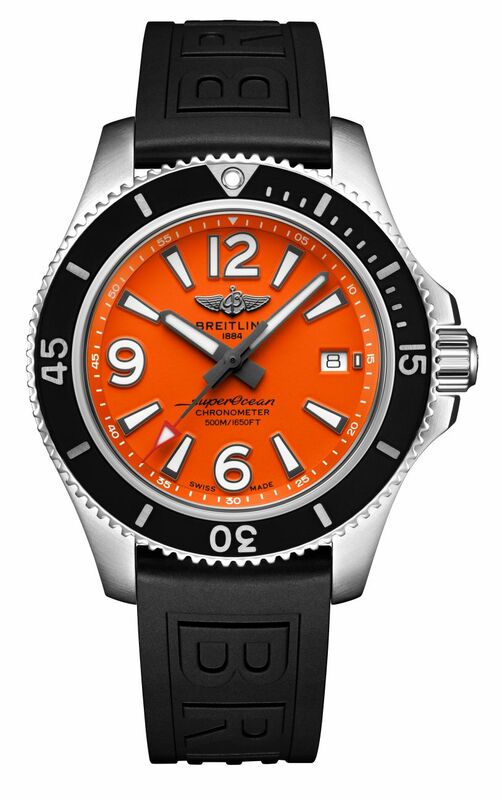 The Superocean 42 has been crafted with a 42mm stainless-steel case and a choice of a black, white, or orange dial. 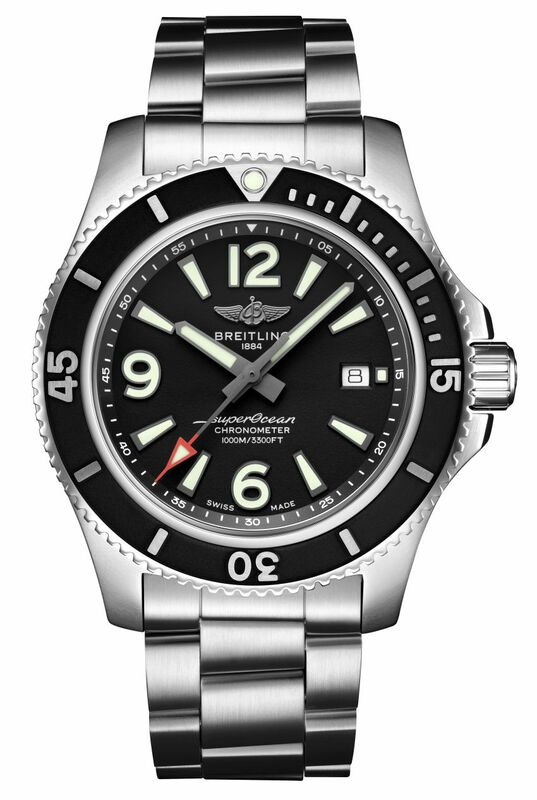 The watch is presented on a Diver Pro II rubber strap or on a stainless-steel bracelet and has a ratcheted unidirectional bezel. The Superocean 42 is water-resistant up to 50 bar (500 meters). The Superocean 36 is designed for women who want the quality and performance of a great sport watch in a more compact size. 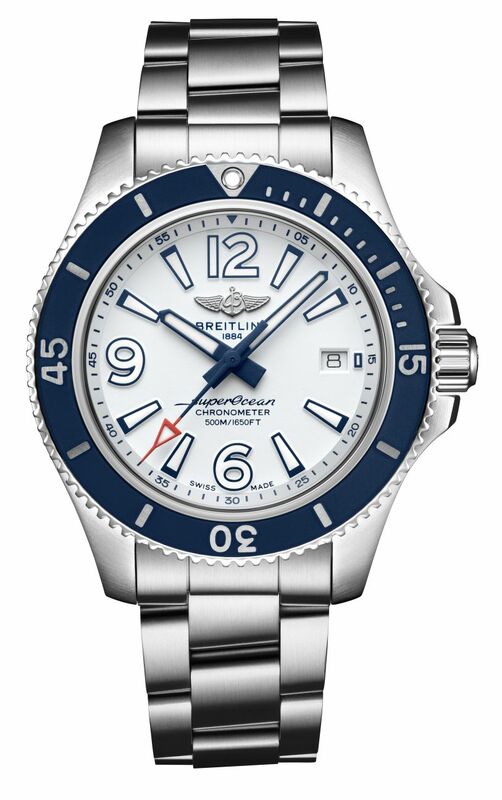 It has a 36mm stainless-steel case with a ratcheted unidirectional bezel and a choice of either a light blue or white dial and a matching Diver Pro II rubber strap or a stylish stainless-steel bracelet. The Superocean 36 is water-resistant up to 20 bar (200 meters).